Mr. Md. 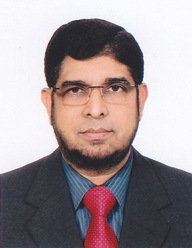 Mahbub-Ul-Alam is the Managing Director & CEO of Islami Bank Bangladesh Limited. He was born in 1956 at Comilla district in Bangladesh in a noble Muslim family. He obtained Bachelor of Commerce degree with Honours in 1980 and Masters of Commerce in Marketing in 1982 from University of Dhaka. He is also a FIT (Finance of International Trade) Graduate of ICC. Mr. Alam is also the Chairman of Task Committee of IBCF. 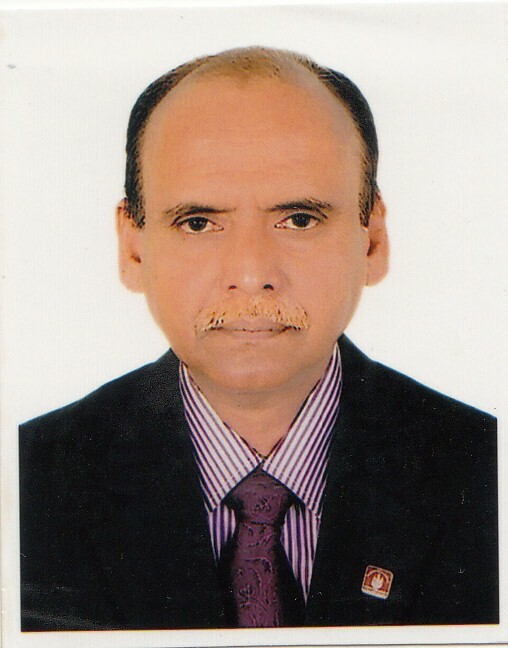 Mr. Alam as an expertise in all spheres of banking arena, he is actively associated as a member with different professional bodies including Bangladesh Foreign Exchange Dealers Association (BAFEDA) Arbitration Committee, ICC Standing Committee for Banking Technique & Practice. As an experienced and learned banker specially in Islami Banking, Foreign Trade and Investment (Credit) operations. Mr. Alam is a regular resource person and Panel discussant in various academic and training institutes including Bangladesh Institute of Bank Management (BIBM), Bangladesh Bank Training Academy (BBTA), Bangladesh Association of Banks (BAB), Islamic Banks Consultative Forum (IBCF), different government & private commercial Banks of Bangladesh and also Foreign Banks & Institute like Reuters etc. He is also Diplomaed Associate of the Institute of Bankers, Bangladesh (DAIBB). Dr. Mohammed Haider Ali Miah has been appointed as Managing Director and CEO of Export Import Bank of Bangladesh Limited (EXIM Bank). He succeeded Mr. Md. 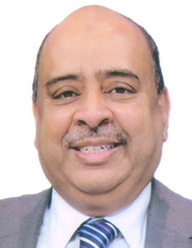 Fariduddin Ahmed after serving as Additional Managing Director, Deputy Managing Director and Heads of many important Divisions of the bank including prime Branch Manager since his joining in Exim Bank in 2000 as Vice President. Prior to this, he worked in different capacities in various Branches of Islami Bank Bangladesh Limited during his career spanning over 16 years in Islami Bank. He started his banking career in February 1984 when joins Islami Bank Bangladesh Limited as a probationary Officer. Dr. Haider was born in 1957 in Manikgonj, a city adjacent to Dhaka, Capital of Bangladesh. He studied at Dhaka University and completed his B. Sc (Hon’s.) in 1978 and M. Sc. in 1979. Later on he passed MBA from London Institute of Technology and Research, London, UK with major in Management and Marketing. He also received his Ph. D on “The Role of Marketing on Financial performance in showing differences between the traditional and Islamic Banking in the context of Bangladesh” from American World University, California, USA. He obtained Post Graduate Diploma in Islami Banking and Insurance in 1998 from the Institute of Islami Banking and Insurance, London, UK and became Associate Fellow of the Institute. He also is a Diplomaed Associate of the Institute of Bankers’ Bangladesh. (DAIBB). Dr. Haider is also the Co-chairman of Task Committee of IBCF and member of Association of Bankers Bangladesh (ABB), Life Member of the Institute of Bankers Bangladesh. Apart from being a distinguished academician in banking arena, he is on the panel of Guest Faculties of many Banking Training Institutes and Educational Institutes including Bangladesh Bank Training Academy, Bangladesh Institute of Bank Management (BIBM), EXIM Bank Training and Research Academy, IBCF Research and Training Academy, Sonali Bank Staff College, First Security Islami Bank Training Institute & many more Training Institutes in Dhaka. He is a Guest Faculty of MBA Program of Dhaka International University, Bangladesh. He also successfully conducted many sessions on banking in home and abroad. Dr. Haider is a well known writer and columnist. A Hand Book of Islamic Banking & Foreign Exchange Operation and A Way to Islami Banking Customs & Practice are his remarkable work. Mr. Syed Waseque Md. Ali is the Managing Director & CEO of First Security Islami Bank Limited. He was born in Dhaka, Bangladesh in 1962. He started his banking career with IFIC Bank Ltd. in 1983. Mr. Ali, a dynamic leader and a seasoned banker, having more than 32 years of extensive and versatile banking experience with diversified, welfare and next generation banking business. He joined First Security Islami Bank Limited as Senior Executive Vice President in 2008 and was promoted as Deputy Managing Director in the year 2011. He was appointed as the Managing Director in the year 2015 and reappointed in the year 2018. 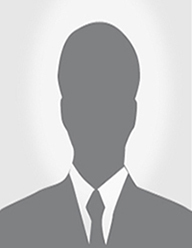 Prior to his joining with FSIBL, he served several managerial positions in different banks in Bangladesh. During his long Banking Career, he has undergone various training and participated in many multifaceted professional and international seminars, workshops & symposiums on Banking and Finance both in the country and abroad. Mr. Ali was President of Rotary Club of Dhaka North and presently serving as Convener of Gulshan Society Zone-6, Dhaka, also a life member of Gulshan Society, Gulshan Youth Club, Gulshan Health Club, Dhaka, Bangladesh. He is also associated with a number of institutions and communities. 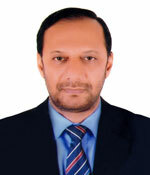 Mr. Quazi Osman Ali is the Managing Director of Social Islami Bank Limited. He was born on 15th December, 1956. He completed Bachelor of Commerce (Honours) and Masters of Commerce in Management from the University of Chittagong in 1977 and 1978 respectively. Mr. Quazi Osman Ali, a seasoned banker, has a glorious professional banking career spanning over three decades. Prior to joining this Bank, he was the Additional Managing Director of First Security Islami Bank Limited. 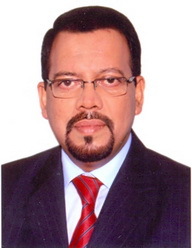 Mr. Farman R. Chowdhury is the Managing Director & CEO of Shahjalal Islami Bank Limited. Prior to joining this Bank, he was the Managing Director of ONE Bank Limited. Mr. Chowdhury started his banking career with American Express Bank as Management trainee in 1986 and gradually reached up to the position of Director Marketing in 1995. He served American Express Bank for 12 years up to 1998 and worked in various operational areas like customer Servies, Remittance & Settlements, Credit Operation, Marketing etc. Mr. Chowdhury, a Business Graduate(MBA) from Institue of Business Adminstration(IBA) of Dhaka University, has attended many training programs , seminer & Workshops at home and abroad. Mr. Omar Farooque is the Managing Director of Union Bank Limited. Prior to joining in Union Bank Limited, he served as Managing Director of Bangladesh House Building Finance Corporation as well as Managing Director (Current Charge) of Janata Bank Limited. During his 35 years’ banking career, he served as the Head of different divisions/departments/branches in various capacities in banks. Apart from that he worked as a Group Leader in FSRP and CBRP Cell of Agrani Bank. Earlier, he started his career as Senior Officer in Agrani Bank in the year 1983. Mr. Farooque is an MBA, Major in Finance from Institute of Business Administration (IBA), University of Dhaka. He is also a Diplomaed Associate of the Institute of Bankers, Bangladesh (DAIBB). He was a resource person in different training institutes including a Faculty Member at Bangladesh Institute of Bank Management (BIBM). During the tenure of his service, he visited in UK, China, Turkey, Malaysia, Thailand, Singapore. He also attended various training, seminar, workshop at home and abroad.